eTap® is now available for Force®. SRAM Force eTap AXS™ offers the key features of RED eTap AXS™ modern gearing, advanced chain management, and easy personalization in a more affordable package. Exploring new limits has never been easier. 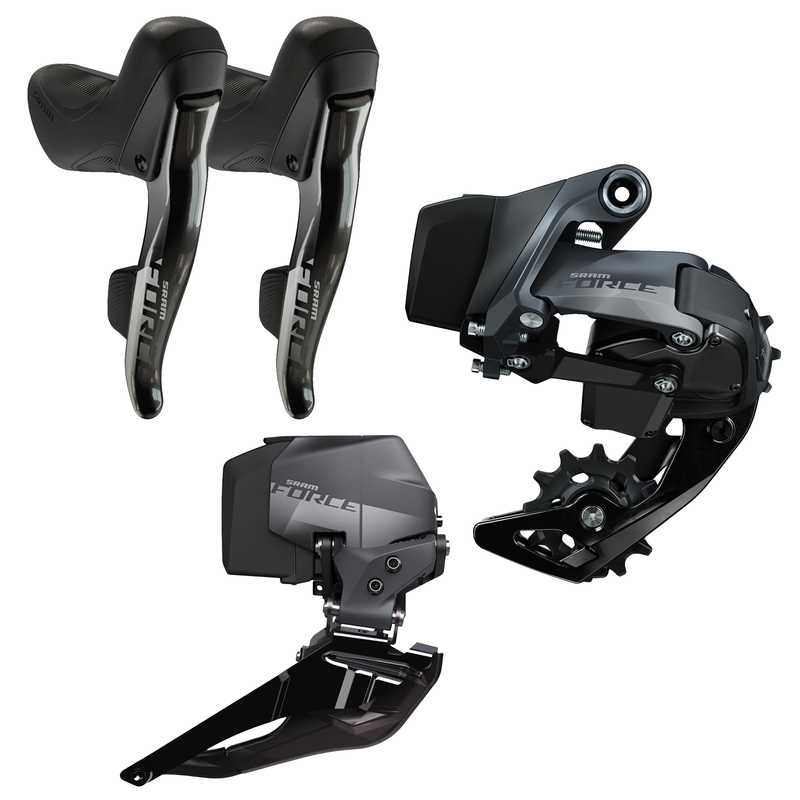 SRAM Force eTap AXS™ Simply Beyond. AXS™: Sram's new electronic intergration platform that connects the electronic components and software. The Sram AXS™ App allows riders to see battery status, change component behavior, personalize controls, get maintenance reminder and update firmware. XDR™: Universal mounting system for cassettes that incorporate cogs with fewer than 11 teeth. Allows for lighter and more versatile drivetrains, without requiring new rear axle standards, hub redesigns, or even new cassette tools. X-RANGE™ GEARING: Ideal gear ratios for today’s more capable bikes and riders, Smoother gear progression allowing you to ride faster, farther, easier. ORBIT™ CHAIN MANAGEMENT: Elegant and ultra lightweight fluid damper system to make shifting quieter, simpler and more efficient. Rock solid reliability on both 1X and 2X drivetrains.